I don’t know if there is anything in this world I love more than dark chocolate. Well, maybe a dark chocolate pie. Or even better… a dark chocolate hazelnut pie. 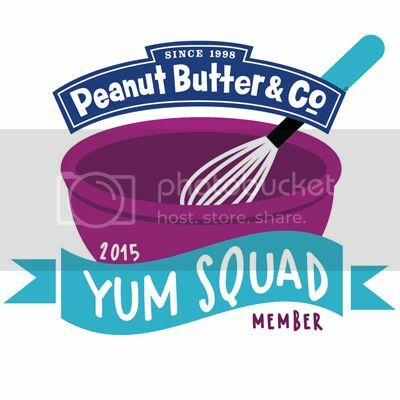 As a lucky member of the Yum Squad with Peanut Butter & Company, sometimes I get to try their new products and make fun recipes with them. If you didn’t know yet, they just released a new product… Chocmeister. It comes in two flavors: milk chocolatey and dark chocolatey. I opted for the dark chocolatey variety because… dark chocolate. Duh. It was love at first spoonful. It actually reminded me a lot of my childhood. Godiva Chocolatier used to make these giant mounds of chocolate-covered hazelnut goodness. I don’t remember what they were called, but they were essentially oversized truffles. As a kid, my mom and I would go to Godiva and get them as a treat. I loved them. And then, one sad day, they stopped making them. I have never seen anything quite like it since. But this dark chocolatey Chocmeister tastes exactly like them. Rich dark chocolate with a strong hazelnut flavor. Smooth and creamy. And, yes, it is way better than Nutella. So, are you ready to try it? Below is my recipe for Chocomeister Blood Orange Tart. Make it and then prepare to stuff your face. You’re welcome. If you would like to order some Chocmeister, click here and use the code “Chocolatey” before July 31 to score $1 off! 1. Put whipping cream and chocolate chips in a small bowl and microwave until chips have melted, stirring every 60 seconds. 2. Remove from microwave and add Chocmeister. Stir until combined. 3. Pour mixture into a pre-made/store-bought graham cracker pie crust. 4. Microwave marmalade (with lid removed) until warm and pourable, about 1.5-2 minutes. 5. Spoon marmalade over top in a swirl pattern until you reach desired amount. I used about 3/4 of the jar. Use spoon to swirl marmalade into chocolate filling. 6. Cover and refrigerate until solid.